Home of the world’s only Floating Green, stunning lake views and finely manicured course conditions, The Coeur d’Alene golf experience is an amazing round of golf and so much more. Arrive in a handcrafted lake shuttle. A personal forecaddie takes care of every need. 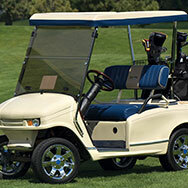 Luxury golf carts with interactive touchscreen GPS are ready for the round. Play finely groomed tees, fairways and Bent Grass greens with surprise lake views at every turn. 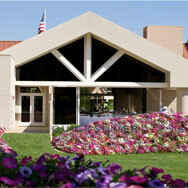 1,500 Wild Flowers, 4,000 Petunias, 25,000 Junipers and 30,000 Geraniums are carefully maintained throughout the course. All-New T1 Bent Grass Greens are the finest putting surfaces available. They provide for a smooth and true short game experience. 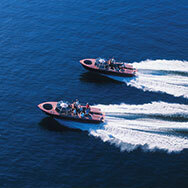 The Eagle and the Double-Eagle, two handcrafted Honduran Mahogany high‐speed lake shuttle boats provide a smooth ride from the resort.  Designer Scott Miller's vision was to create a golf course that offered a stimulating round of golf, immersing players in a pristine park-like environment. 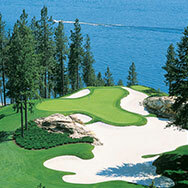 The result is fairways that play from tee to green on a lush carpet of Bent Grass, accented with beds of brilliant red Geraniums, acres of Junipers and the mountain water challenges of Lake Coeur d'Alene and Fernan Creek. 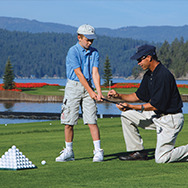 Former PGA Tour Professional, Chip Beck, called The Coeur d'Alene Resort Course one of the finest he has ever seen, lauding it as a course playable for families, yet challenging enough to test the pros.